Double rope system for metallic pails. Double rope system for metallic pails. 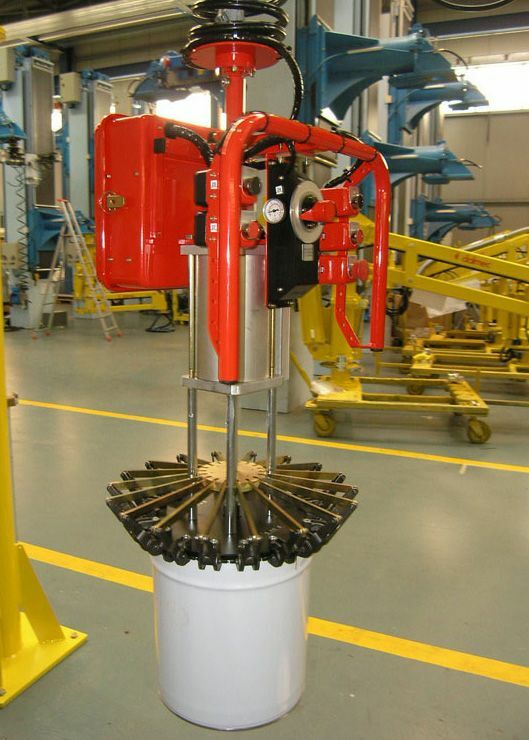 Cable balancer for handling drums – Industrial manipulator Posivel type for pails, column mounted, equipped with tooling used for the closure, gripping and handling from packaging line to pallet. Characteristics: Max weight capacity 50 Kg – Max working radius 3000 mm – Vertical lift 1800 mm. Simple to use, the balancers allow the operator to move pails throughout the working area quickly, accurately and safely. 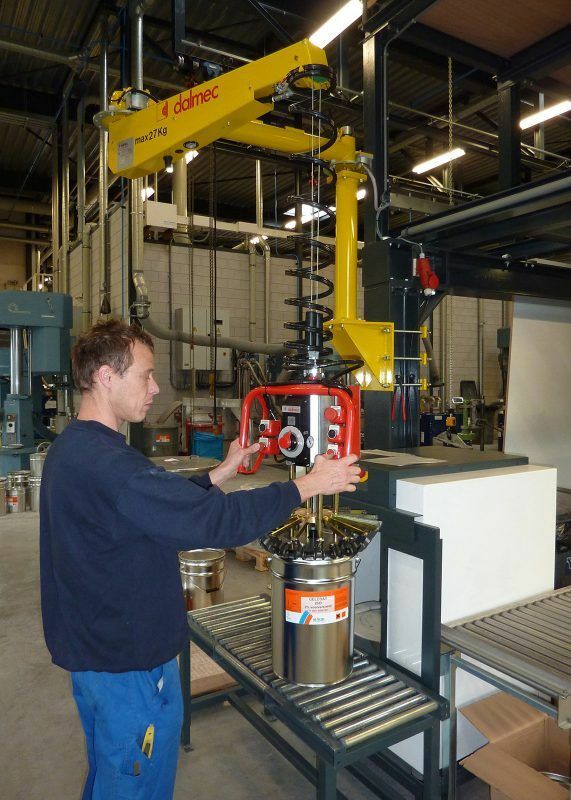 Double rope system for drums or Pneumatic Manipulator Dalmec double rope type Posifil, column mounted, for handling drums with forkable baseplate and tooling designed for the locking and handling drums.